Chinese New Year in London, England 2015, What will the year of the Goat bring? 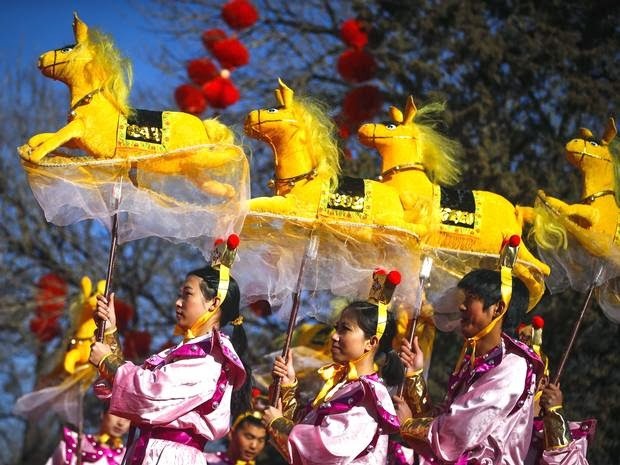 London's celebrations of the Chinese New Year are the largest outside Asia with hundreds of thousands of people descending on the West End every year. Festivities commence in the morning with a parade of colorful floats and beating drums, in Trafalgar Square through Chinatown and ending in Rupert Street. On the main stage in Trafalgar Square there is an opening celebration that sees the Dotting of the Eye ceremony, which will bring the dragons and lions to life and is followed by with stage performances and special guests. Chinatown is the focal point of the New Year party with food and craft stalls line the streets and a lion dance snakes through the crowds. A stunning fireworks display marks the end of the day's celebrations.